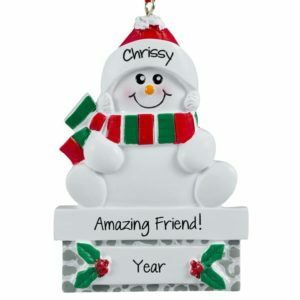 Honor one of the best gifts in life – friends- with a personalized friend ornament! You can’t pick your family, but you certainly can pick your friends. Perhaps one of the best things in life is friends. 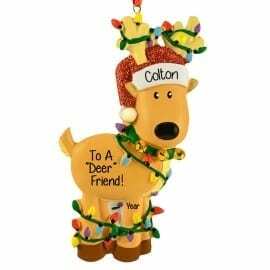 Whether you have been BFFs since grade school or just met up at the Red Hatters meeting, we’ve got gifts that everyone will enjoy. 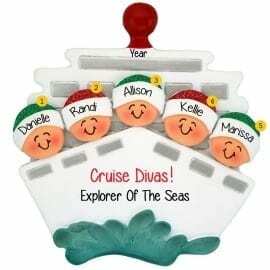 When shopping for the holidays don’t forget all the great times you had with your travel buddies, exercise partners, card group, ladies lunch group, office mates and neighborhood friends. 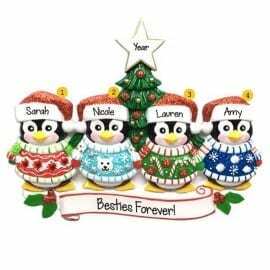 Browse our amazing selection of ornaments for wine loving friends, personalized gift ideas for little girl friends, lifelong friends or shopping buddies. 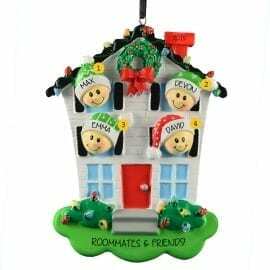 Be sure to include your roommates or housemates if part of a college fraternity or sorority. 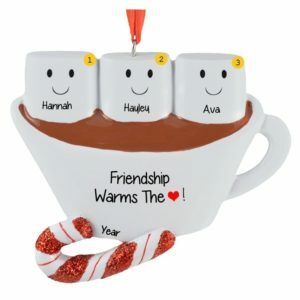 Select one of our customized Christmas decorations for friendship and allow one of our gifted writers to hand personalize to create an affordable memento of a treasured friendship.